Each of my Manaia Hooks unique and a little bit different each time I make one. This one is named Tūmanakotanga. This means Hope. Hope is an optimistic state of mind. Great joy and peace comes from hope. Through expecting with confidence we can derive pathways to desired goals and motivate oneself to achieve our wishes. 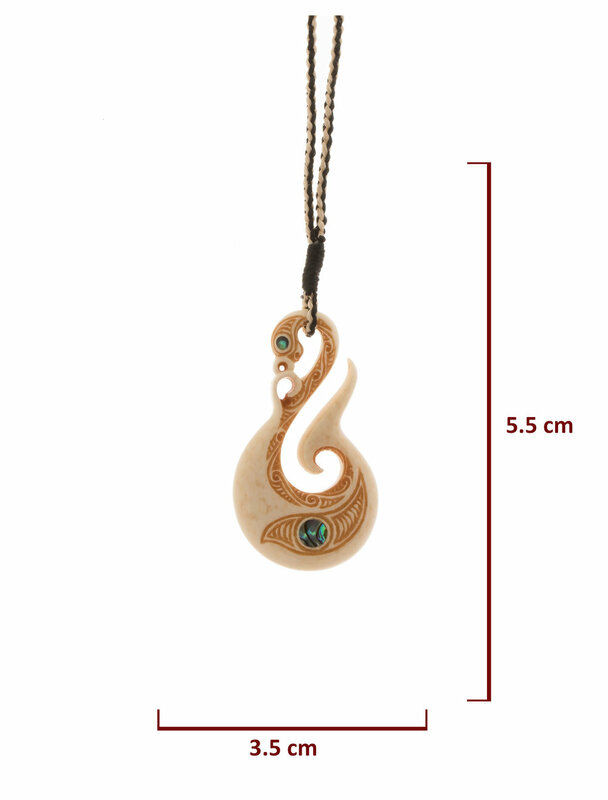 Additional to the basic meaning associated with this style of Matu, this Taonga contains an inlay of Paua which is symbolic of the pure nature of the deepest part of our mind. From this, we have infinite potentials. Herein lays our ultimate hope. Additional to the basic meaning associated with this style of Matu, this Taonga contains an inlay of Paua which is symbolic of the pure nature of the deepest part of our mind. From this, we have infinate potentials. Herein lays our ultimate hope. The symbol on the back of the carving represents blessings upon our bode, speech and mind. This is represented by the three koru. This Manaia Hook has an inlay of Paua for the eyes. 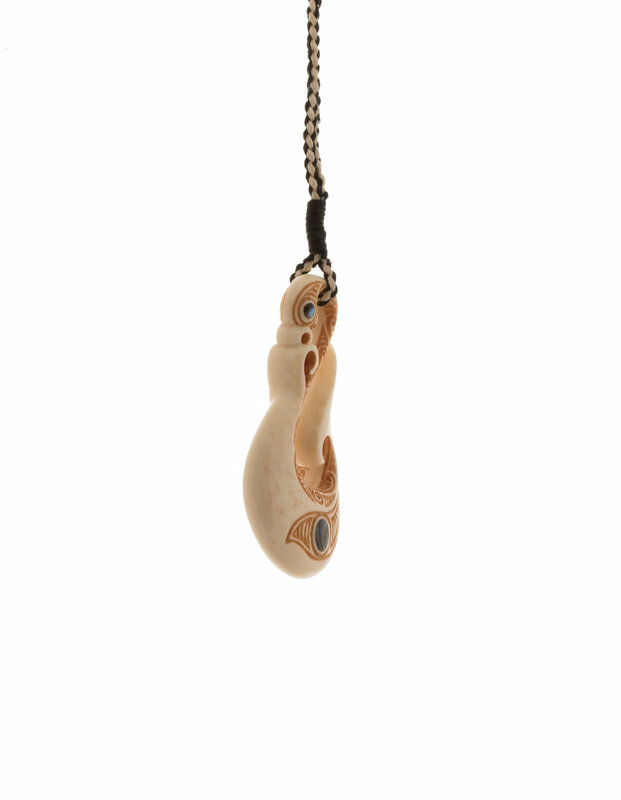 The koru running up the neck of this carving represent the rising of our happiness. I sincerely hope you enjoy the carving and over time come to fully understand all the various layers of meaning imbued in this creation. I wish you and your family the deepest peace and happiness.